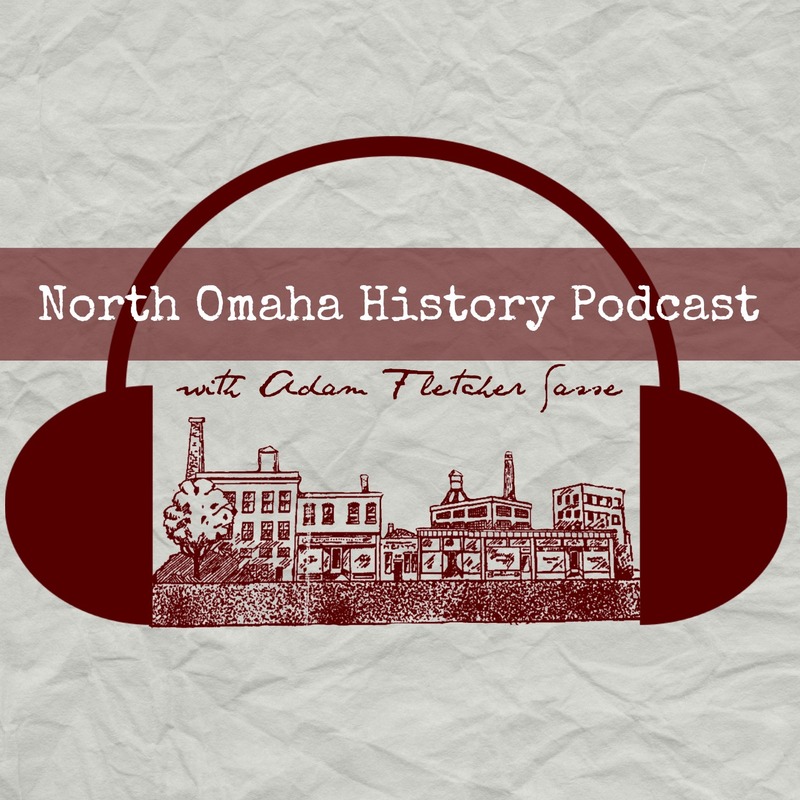 North Omaha has hosted large and small industry throughout its history, starting in the 1860s and extending to this day. One of the major manufacturers that has called North Omaha home was the Douglas Motors Corporation. In 1918, the Douglas Motors plant opened at 4024 North 30th Street, near the Druid Hill School. Originally known as the Drumond Motor Car Company, the company was founded in Omaha in 1917. This is a 1917 Douglas Motor Company touring car, which sat 7 people. After this, the company started making trucks in North Omaha. Drummond built cars for touring and roadsters, as well as a town car. However, they were only built for a year. 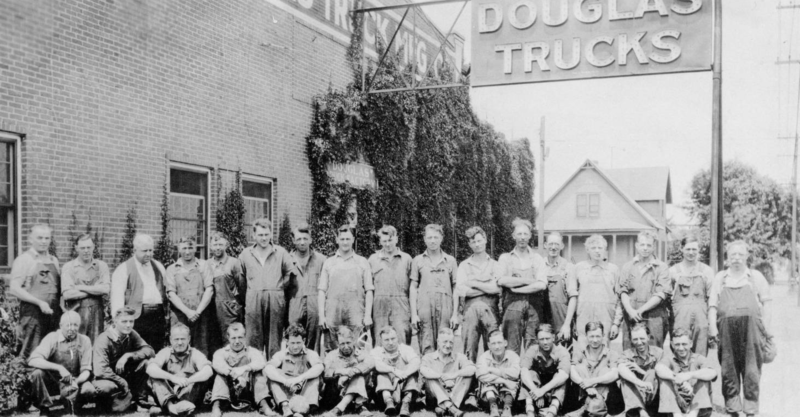 The Douglas Trucks crew outside their factory at 4025 North 30th Street in North Omaha. In 1918, the company name was changed to the Douglas Motors Corporation. They built a new plant in North Omaha where the Douglas V-8 was made, along with some commercial trucks, and continued manufacturing trucks there until the mid 1930s. This a 1914 architectural drawing for the Douglas Motor Company Plant in North Omaha. The Exide Corporation, which manufactures batteries, operated here in the 1990s. After their building was designated a part of the Omaha Superfund cleanup site, Exide moved to southwest Omaha. After the plant was demolished and remediation on the site was completed, the Omaha Police Department built a new substation at the location. 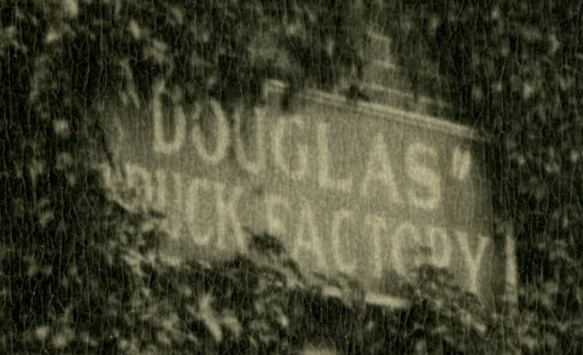 The sign above the door at the Douglas Truck Factory in North Omaha. This is a 1920 Douglas pick-up truck that was manufactured in North Omaha. Today, its in the restaurant section of Shoemaker’s Travel Center on 151 S.W. 48th St., Lincoln, Nebraska courtesy of Elifino 57. This 1918 Douglas Truck was manufactured at the Douglas Motor Company factory in North Omaha. Today, its on exhibit at the Durham Museum in downtown Omaha. This is a postcard for the Omaha-based Douglas Manufacturing Company located on North 30th Street. Image courtesy of Jody Lovallo. A 1927 ad from the Omaha World-Herald congratulates the Douglas Truck Manufacturing Company for building its new factory. This 1920s image shows a Douglas Truck outside of the Douglas Motors Corporation factory on North 30th Street. Hi Denice, and thanks for writing! I have no idea where that kind of info ever ends up, but I really doubt it exists anywhere. The Nebraska State Historical Society has some old company records for businesses throughout the state’s history, but I don’t know whether they have any from the Douglas Motors Corp.
Good luck in your search! Have any pics? I’d love to see! Denice, please feel free to email us at nshs.reference@nebraska.gov and we can look through our records. Thanks for that response Chris – awesome! Thank you both, and happy holidays! I sent Chris an email request today.